We have won an extensive commission to manufacture and supply bespoke joinery for a development on the outskirts of Shrewsbury to convert an historic flour mill into a prestigious residential development. Mytton Mill Developments Limited has called upon the skills of Morris Joinery to design and manufacture over 100 windows and doors at its 12-home development which will include two riverside mews houses, four contemporary apartments and two stunning penthouses within the main mill complex, and the conversion of and extension to ancillary buildings to form a 2 further dwellings and 2 new large detached properties. The external casement windows and doors will be crafted in sustainably-sourced Accoya for optimum durability and will be finished in the company’s specialist spray booth using white paint internally and grey externally. Two members of our highly-skilled team are currently working on the windows with the help of an apprentice and specialist paint sprayer. The team will be working on the windows for the next four months and anticipate completion in Spring/Summer 2018. We are currently benefitting from significant investment made in the latter stages of 2017, which included improvements to the joinery workshop, addition of a spray booth and the employment of new staff members and apprentices. 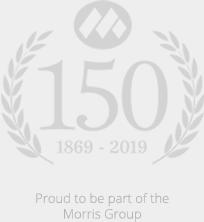 William Onions, Director at Mytton Mill Developments Limited said: “I chose Morris Joinery for this project because I have worked with Morris’s for over 30 years and I know the quality of the finished product will be second to none and completed on time and on budget. Nothing is too much trouble for the joinery team and they have given significant and valuable input and advice on style, materials and manufacturing methods from the outset.